Hello friends! 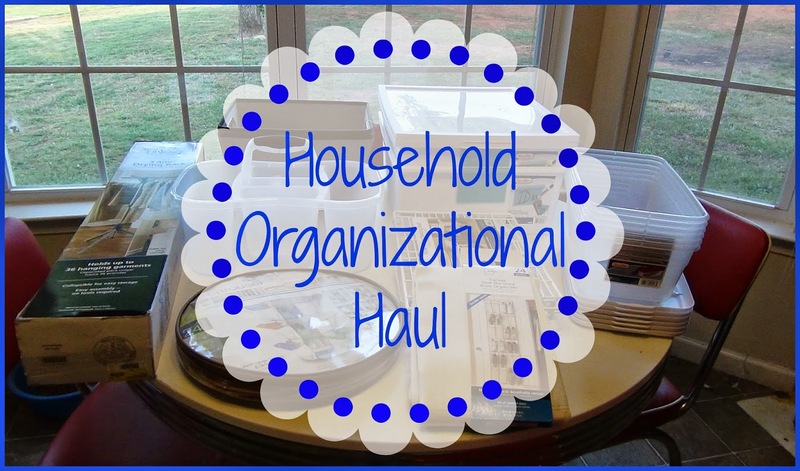 I am back with a household organizational haul video. I have been such a busy buzz organizing my closet and a few other places around the house. I decided that I would start with the master bedroom closet and then move to another closet and so on until every closet is organized the way I want. 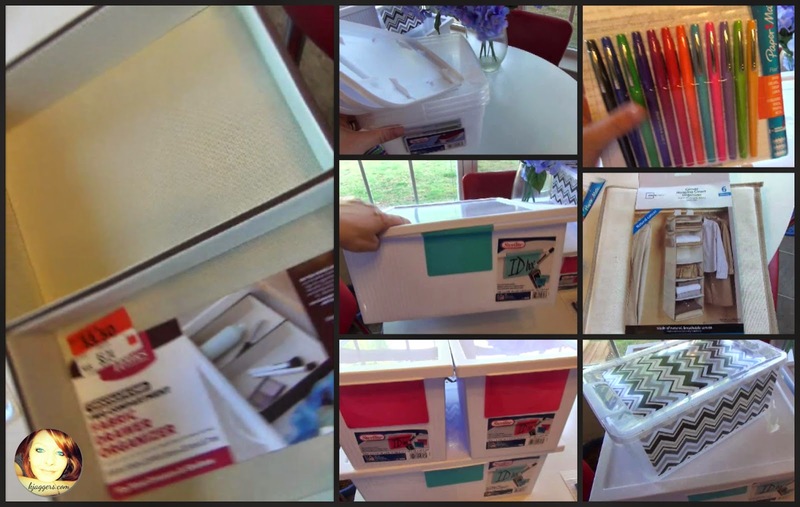 Everything you will see in the video came from Walmart because its the closet store to me that has a nice variety of organizational products. Hope you enjoy the video and there are more pictures and info below! The Smart Carousel Organizer works super well. I already got one in my last household organizational haul and I was so happy to get another. Better Homes and Gardens Cloth Bins are really nice and I found them on clearance! I got 6 clear shoe boxes for $.88 each at Walmart which is cheaper than what you can find them at the Dollar Tree. I also got a Sterlite Tub that should come in handy for organization. I was really happy to get the Mainstays over the door shoe organizer than I am not using for shoes! I also got 2 Sterlite ID Boxes which you can write on with a white board maker making identification easy! I also got the Mainstays stackable shelf but I will have to wait and see if it will work for what I want! For the laundry area I got a 3 arm drying rack that we will most certainly use! After going shopping the first time, I decided to go back and get a few more things that I needed! 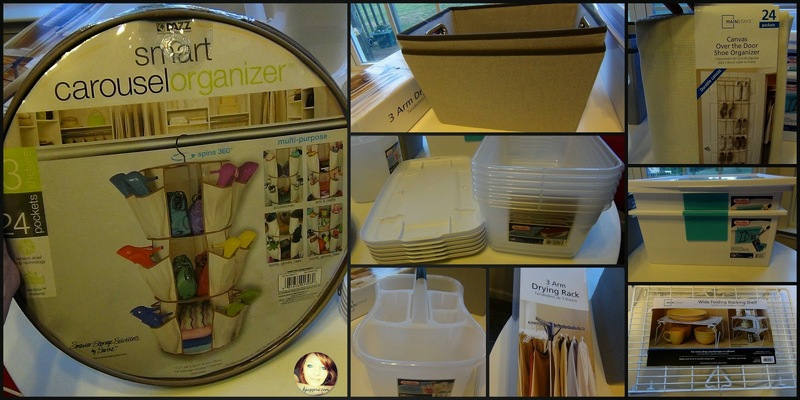 I found this Better Homes and Gardens Drawer Organizer in the clearance area so I grabbed one up. I am sure I will find a place to use this in the house! I got 3 more of the clear shoe boxes for $.88 each. I got another Sterlite Id Box to hold even more items. Then I picked out 2 more of the Sterlite Id boxes in a smaller size. I really love these boxes. I somehow stumbled across a huge package of Paper Mate Felt Tip Pens that got me so happy! These are my favorite kinds of pens to use. I also got the Mainstays Closet Organizer - I already had a white one but I wanted one to match everything in my closet so I got another. This one also has pockets on each side giving even more storage. Last but not least, I got another colorful container that will come in very handy in my closet! I hope you enjoyed this haul.. and in case you missed my last organization haul, here it is! Thanks for watching...I hope you have a great night!